For authors, getting your book into bookstores is a great way to increase sales and exposure. The challenge is getting store owners to feel the same. Competition from online stores like Amazon, economic trends and distribution challenges from indie authors has bookstore owners focused on their own survival. Over the last 10 years, the bookstore model has been affected by the changes in the book industry. Store owners need to be laser-focused on buying what sells and monitoring their inventory levels. Their survival is predicated on making smart buying decisions. You have a better chance of a store owner stocking your book if it’s selling well with positive #bookreviews. So how can an author get into bookstores? Understanding the challenges that owners face will give the author a better voice. Doing research on the type of books a store carries as well as supporting information will better prepare you for this opportunity. Keep in mind your goal is to build long-term relationships, not just a few quick sales. Know that sales are the cure for this challenge. If your book is selling well, the store owner might stock your book. Learn to embrace rejection. This strategy is not easy and is designed for the tenacious, strong-willed and persistent author. Get your online presence in order– It’s important to get your online profiles in order immediately. A majority of sales for indie authors will come from online stores and mostly Amazon. One of the first places a bookstore will look when evaluating your title will be on Amazon.com. They will want to read what customers are saying about your book. (reviews) They want to see what categories your book is in. (not BISAC codes but categories) They want to see how well your book is selling and the publication date. (sales ranking) If you have reviews and sales you will have a foundation to stand on when approaching any store in person. Create a sell sheet- a sell sheet is a one-page summary of your book to include the metadata for the book. (i.e. description, cover image, categories, target audience, any reviews from influencers, distributors along with contact information.) If you have a sales history make sure you highlight this along with any other selling points. TIP: Bring a copy of your sell-sheet and book to any bookstore you visit. Make sure you know who the decision makers are. It’s always the owner and sometimes a buyer, although, in today’s climate, that could be the same person. If the owner is not available, it’s up to you whether you want to leave any material. Do some reconnaissance first- Know the market for your book and understand if the store you’re approaching carries your type of book. Then compare your book to others already on the shelves. Know your competition and how they look online. Leverage your research and knowledge when approaching the bookstore to show the owner that you are passionate and serious. Understand how they buy books- Independent bookstores prefer to buy from wholesalers or publishers who have many titles to choose from. They usually look for books that are returnable and have the highest discount. Some stores will buy on consignment and pay you once the books are sold. TIP: If you choose to sell on consignment, make the process simple. Then drive customers to the store so they sell out of your book and purchase more from a wholesaler. Then continue to drive sales into that store.Make sure you are listed with wholesalers- If you print on demand with IngramSpark you are automatically listed in the Ingram Wholesaler database. If you print on demand with CreateSpace and opt-in for their extended distribution, you will also be listed in the Ingram Wholesaler database. (CreateSpace and BookBaby both distribute through Ingram Content Group’s worldwide distribution services.) If you are printing in bulk, create a direct relationship with a wholesaler. This is challenging with 1 title but not impossible. Get your feet wet- To get started on this project authors should first approach a local bookstore. Most stores and specialty stores love promoting local authors and are willing to highlight their books. Others might be open to an author event or book signing. Both are opportunities to get customers through the door, and free marketing for the owner. It’s also an opportunity for you to practice this traditional form of marketing and improve your skills. TIP: be prepared for any event and make sure you are taking full advantage of the opportunity. Have someone on standby to take pictures and or video of the event. Create and promote an incentive for customers to write reviews. Read more about book reviews on my blog article titled. Use your success to spread the word- Use each experience to promote the next one. Keep track of attendance and sales numbers. Get an endorsement from bookstore owners about positive experiences. Learn from each event and grow your experience. Always be selling- Some of the most successful authors I have had the privilege of representing are active participants in the marketing and selling of their book. After all, no one will represent the book better than the author. The mindset of a successful author is focused on ‘always’ promoting their book. It’s a good idea to keep a supply of sell-sheets and books with you at all times and never let an opportunity slip by.Getting into bookstores is just 1 of many strategies that successful authors should implement. As far as book marketing is concerned, more is better. More distributors, more bookstores, more resellers, more followers, equal more sales. 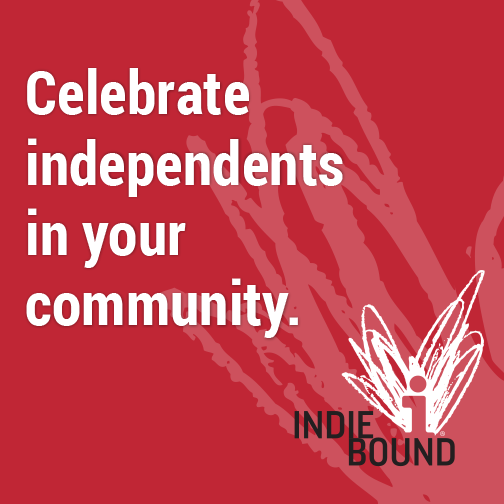 A great resource for indie authors trying to get into stores is IndieBound.org as they offer a list of independently owned bookstores searchable by name or location. To be successful authors should create a business plan (see my article How to Create a Successful Book Marketing Plan) and timeline to use as a guide. Having a roadmap and timeline will keep you focused, productive and successful. Another great blog. I have my books in two independent bookstores, but I haven’t advertised for either one of them. Good idea. The sell sheet is something I need to do–like yesterday! Thanks, Rick, for all the good tips for working with bookstores.